In a small pan, preferably with a pouring lip, melt 1 stick/4 oz./115 g butter and get it up to about 200°F/95°C. While running the immersion blender directly on the bottom of the yolk container, pour the hot melted butter into the yolk mixture in a thin stream and it will pretty quickly emulsify into Hollandaise. You may need to move the head of the blender up and down a bit to get it all to mix well, and you can finish with a small whisk if needed. A side note on the claim in the linked article that “J. Kenji López-Alt has come up with an ingenious solution to all of these problems [of making Hollandaise]”: Utter piffle. While I don’t know if Julia Child invented the method, I do know it was in her Mastering the Art of French Cooking, Volume 1 under the title “Hollandaise Sauce Made in the Electric Blender”. The recipe employed a regular blender because immersion blenders weren’t available to the home cook in 1961. Edited to add: I did not know the ThermoWorks blog was, like The Finley Quality Network, on WordPress, but so it seems to be. That means they got a pingback from this post of mine, and they’ve graciously adjusted their article and added a comment at the end after reading my post. I tip my hat westward. Above that recipe, she instructs how to revive leftover Hollandaise. Many recipes you’ll find say, “Nope, can’t do that – use it or lose it.” More nonsense. Also, I would advise against using the type of strainer they show in the article to drain the watery part of egg whites before poaching. I once tried that type with eggs that were only a couple days old – which therefore had pretty firm whites – and most of the whites went straight through. Instead, I use this perforated skimmer that happens to balance against the side of the sink perfectly. After draining, I place each egg into its own glass prep cup so they’re all ready to go in the water at the same time. 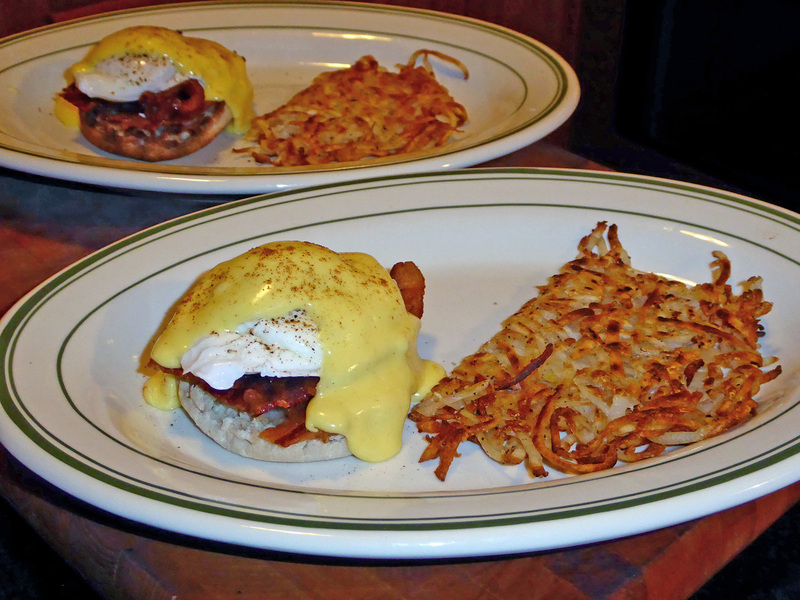 This entry was posted in Cooking and tagged Hollandaise sauce, poached eggs.